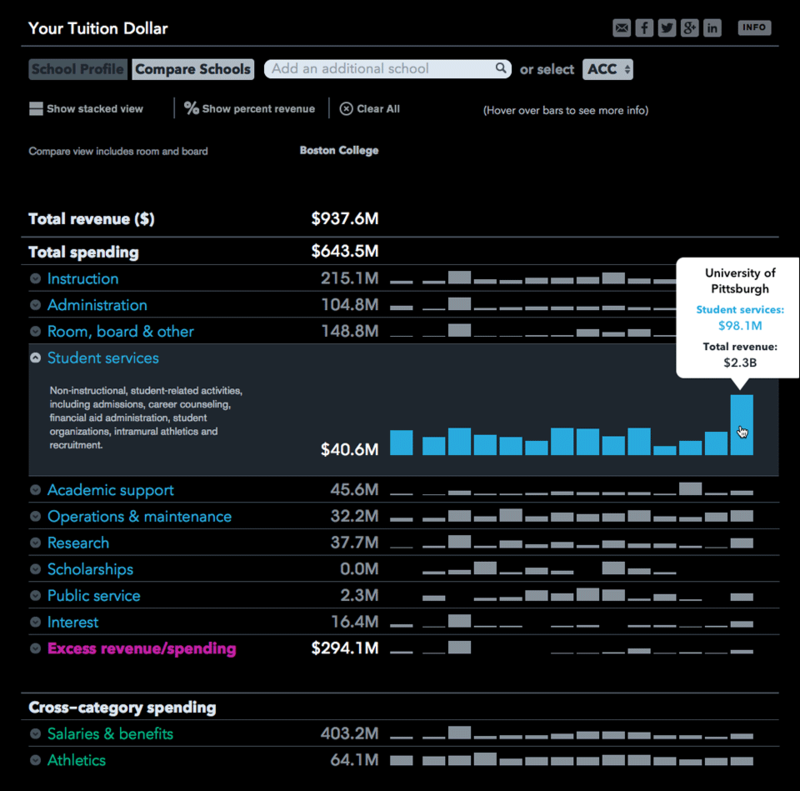 This unpublished project illustrates how various U.S. colleges and universities spend your tuition dollar on categories such as instruction, administration or athletics. Search from over 2,000 U.S. colleges & universities. 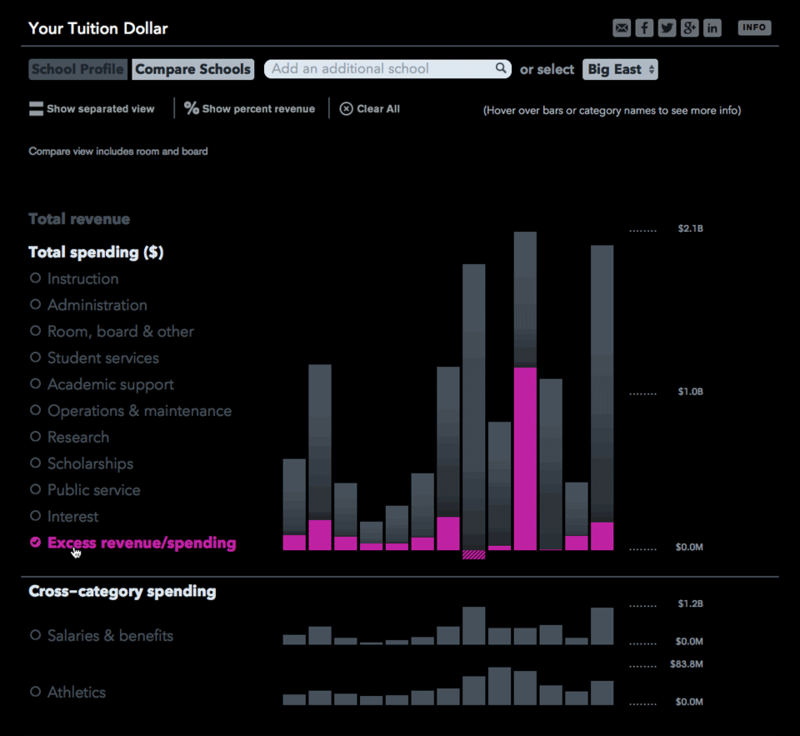 See how much was spent in dollar amounts and as a percentage within different categories. 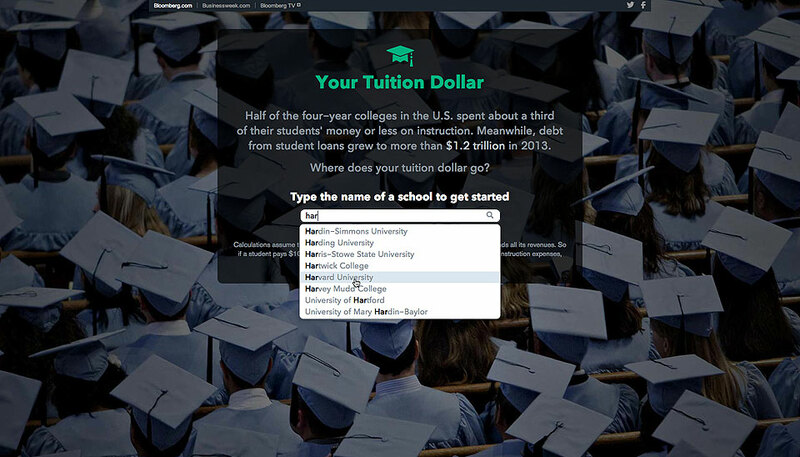 Enter your own tuition amount to add personal context. 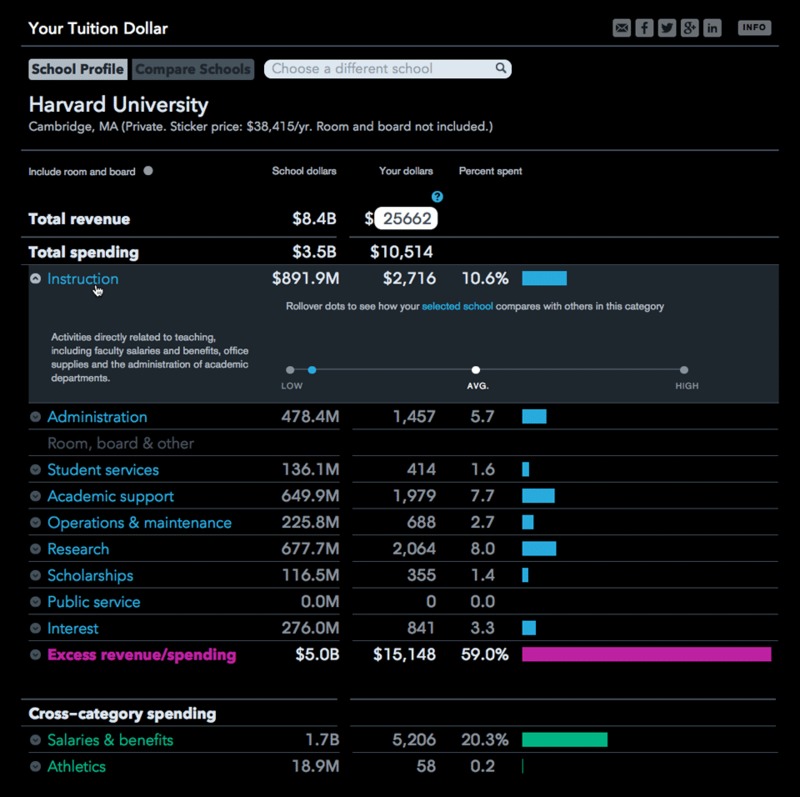 Detailed information on any particular spending category shows where your selected school ranks compared to the rest. 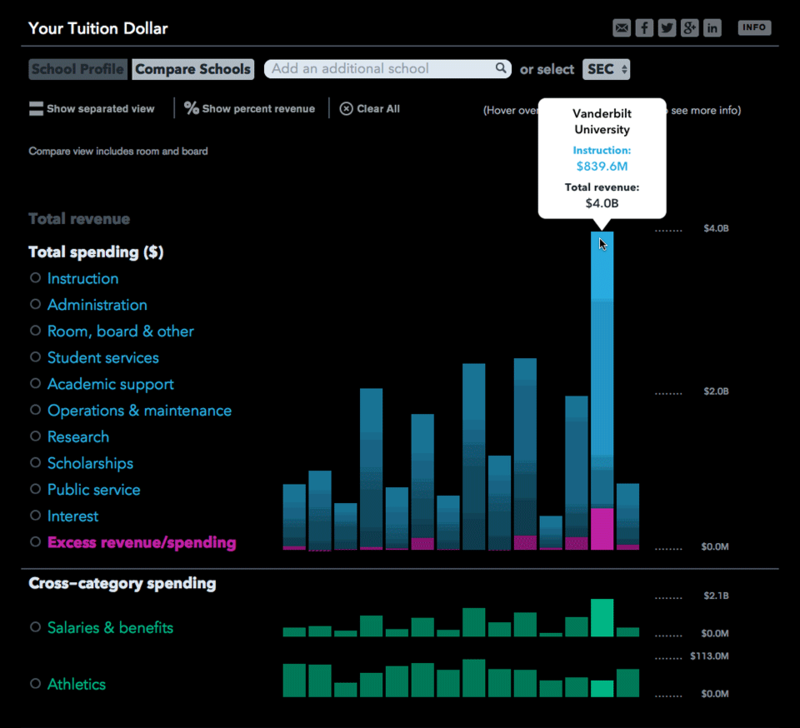 Add other schools individually or select from several preset groups of schools to compare spending. 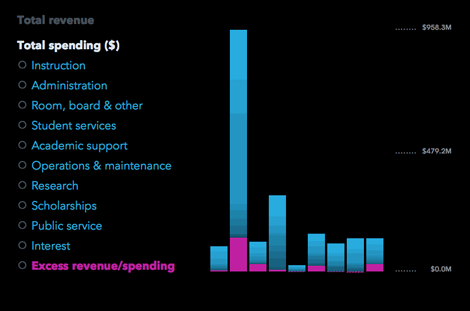 The bars can be viewed in a stacked mode for easier comparisons of overall spending. 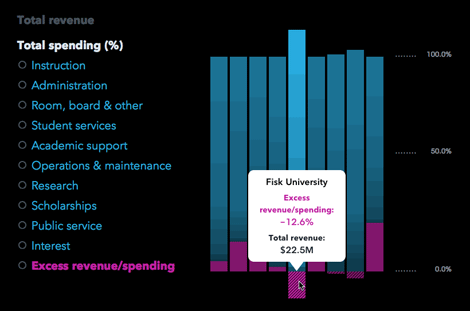 Switching between dollar and percent revenue shows extra insight into the data. In the stacked mode, categories can be highlighted one at a time.